Your home costs you plenty, but it could also be earning you plenty. Check out these ways that you could be using your home to earn extra money, while you live in it. Live in a city with limited parking, and lucky enough to have your own driveway or reserved parking spot? Rent out your space when you aren't using it, and pocket the profits. Just use a parking app to list when your space is available, and how much you charge to use it. You can rent your spot out when you're going to be at work or out of town, or you can even rent it out by the month or year. The terms are yours to set. If you live close to a stadium or another popular venue, you can probably sell event parking at a premium. In fact, you may find it lucrative enough to make it worth planning to be away from home during games and concerts. 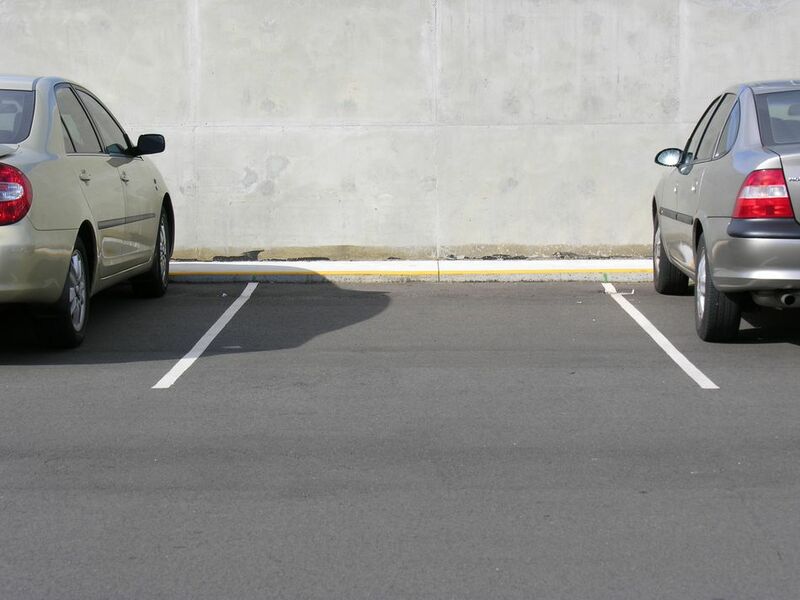 Before you list your parking space, make sure it's legal to rent parking spots in your area (some cities have outlawed this type of rental). You should also check your HOA guidelines, if you live in a restricted neighborhood. And while you're at it, go ahead and run it by your insurance company, to make sure you have all the coverage you need, should a claim arise. Love animals and have a bit of extra space? Then, consider boarding pets in your home. Build a traditional kennel in your backyard, or jump on the trend of in-home boarding, where you welcome someone's dog, cat (or pot belly pig) into you home and care for them like your own. To get started, just list your services, fees and availability on a pet sitter app. If your schedule allows, you can even offer doggy day care, pet walking and grooming. Once the good reviews start rolling in, you'll have all the pet sitting jobs you can handle. If lots of people drive or walk by your yard each day, take advantage of the traffic by offering items for sale in your front yard. This could be unused items that you're trying to clear out of your garage or basement, things that you've made, extra produce from your garden, surplus eggs from your hens or firewood. If your neighborhood allows it, you could even put out a sign advertising any services or products that you sell. Spend a little time brainstorming, and you're bound to come up with something to sell. Just leave an honor box, so customers can pay for small items, and your contact information so they can contact you about purchasing bigger items. This will leave you free to go about your day. Get your home in movies, and get paid for it. Film companies are constantly scouting locations for their latest projects, and you don't have to have a mansion or a prime location to be chosen. Just list your home on a few location scouting websites, and see what happens. Locationshub.com, says the daily rate for renting your property is usually equal to a month's mortgage payment. And if you rent out your home for less than 15 days a year and you don't even have to report that income to the IRS. Sweet! So, while this may be a long shot, it's the kind of long shot that could pay your mortgage for several months. To increase your chances of landing gigs, be sure to position yourself locally, too. Small production companies need locations to shoot commercials for area businesses, and it may as well be your house. Tip: Check your state's film commission website for more places to list your home. You no doubt know that you can use sites like AirBnB to rent out your house or rooms in your house to travelers, but did you know that you can also use those sites to rent space in your yard to pitch a tent or park an RV? Yep, you sure can. This is ideal, if you don't like the idea of inviting strangers into your home, and live in an area that will appeal to campers. Just be sure to set guidelines for what is, and is not, included in the rental fee. Are campfires allowed? Are bathroom facilities available? What about electrical hook up? Before you make the leap, make sure your city allows it, and that you have all the insurance coverage that you need. You'll probably want to pick up some liability insurance. Who knows? If your venture takes off, you may even find it's worth adding a few cabins, platform tents or amenities to attract more campers. Or your basement. Or Your Attic. Or Your Garage. Seriously, if you've been looking for something to nudge you towards cleaning out all that junk that's been piling up in your house, do it so you can rent that storage space out to someone who's willing to pay you handsomely for it. Have a yard sale to convert all that junk into cash. Then, measure your space; snap some pics, and list it on a storage app. If the space is pest-free and climate-controlled, or has easy, outdoor access, be sure to say so. And definitely let people know what you are and are not willing to store, and during what hours they'll be able to access their stuff. You may just find there's enough demand for affordable storage in your area to justify adding a couple extra sheds to your property. Steady monthly income is, after all, a beautiful thing. As with many of these money-making suggestions, you should definitely check with your insurance agent first, to make sure the stuff you're storing will be covered, in the event some sort of disaster strikes. Stuff happens, so don't chance it. Have a spare bedroom? Consider using it to board foreign exchange students. You'll get interesting house guests and a paycheck to boot. If you're able to offer meals, a private bathroom, rides or laundry, you'll make even more. Arrangements are usually short term, lasting six weeks to six months, so it doesn't have to be a big commitment, if you're not sure it's for you, or you just don't want to do it year-round. To get started, it's best to go through your local colleges and universities. Just contact the student housing department to let them know you're interested in becoming a host family. The approval process is fairly lengthy, and typically includes an application, interview, background check, and home visit, but once you're in, it should be a steady source of income for you. If you live in an area that's home to more than one college or university, consider applying to multiple schools, so you get more opportunities to house students. And if you have room for two twin beds in your spare room, be sure to let the schools know that you can accommodate two students at a time. It's an easy way to double the earnings from your venture.